This family is truly passionate about their wines and just as passionate about sharing them. 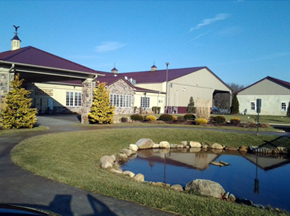 Make a day of visiting the winery in Shamong, New Jersey only twenty minutes away from Summerfields Friendly Village. See, taste, and experience all they offer. 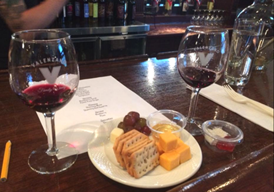 Sample the latest vintages in the Tasting Room, tour the lovely grounds, take in a special event, or just enjoy some downtime sharing a bottle in the picnic area or patio with family and friends. The grounds are lovely and the Valenzano family is well known for personal service that is truly customer-first. Romance, intrigue, beauty and elegance – it’s all here at our winery. Whether you’re inside the stately Winemaker’s Ballroom partaking in some unique event in the Wine House, or in the newly renovated Vineyard Courtyard, it’s a wonderful experience. 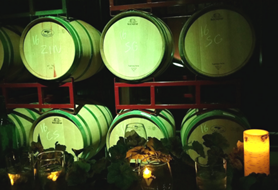 Visitors say, this family winery really knows how to throw a party. And the Valenzano family is always planning new events from the annual Wine Fest to Yoga in the Vineyard, Paint Nights, Comedy Shows and Fireworks festivals. The family and staff enjoy thinking up new ways to entertain customers while enjoying great wine. This is a perfect day for active on the go people from Summerfields Friendly Village. Just over forty miles from Summerfields Friendly Village in Jobstown, New Jersey, Locust Hall offers a true farm experience. The venue is open to both public and private events. 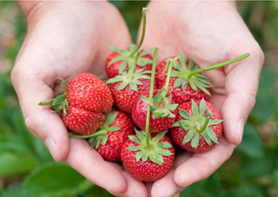 Throughout the farm’s seasons they have many offerings, from hayrides to pick your own seasonal crops and entrance into the Animal Farm to private school field trips and also weddings. The farm offers something for everyone. 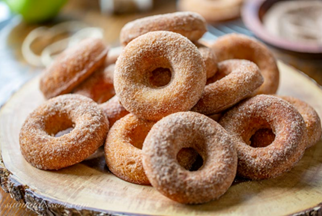 Attend a farm to table dinner or simply stop in the farm market and enjoy their famous apple cider donuts. Spring, summer and fall are packed with opportunity to enjoy this 325 acre farm. Locust Hall is now offering offer at Community Supported Agriculture program (CSA) every week for 15 weeks from May 24th through August 31st. Each week, members receive a crate of produce, typically 5-7 different fruits and vegetables. Weekly crate pick up days are Friday 1pm to 6pm and Saturday 10am to 2pm. The spring and summer months are perfect for that night out with friends and family. Or perhaps you want to make it a date night. Farm Night’s at Locust Hall will get you outside and enjoying every venue the Farm has to offer. Live Music, Wine Tastings, Farm Fresh Grill, Sunset Hayrides and more. It’s the place to be, especially when people like you…friendly people from Summerfields Friendly Village are present to spread that positive attitude of living a wonderful lifestyle. As a land-lease community you’ll have no real estate taxes. Plus, there are no water bills or sewer fees to pay, and virtually no closing costs. There’s so many more advantages that you should find out about. So don’t delay, come and take a look at what your lifestyle future can become. Call us today and we will be happy to accommodate you with a personalized tour. And, there’s no pressure to sell you anything. We believe in the excellence our community offers and that will be evident when you visit.